December is right around the corner and this week, I am giving you permission to set aside the chocolate and pick up the ultimate beauty advent calendars of 2018! This advent calendar comes with 12 items including a pair of false lashes, glitter, and a blending sponge. Currently on sale for only $36, this baby is practically a steal! With 24 days, this advent calendar is filled with the best travel size products to get you through until next December. From shampoo to a bar of soap, this advent calendar truly has it all. For $59 it is a splurge, but with every purchase L’Occitane will help UNICEF provide Vitamin A supplements to children in the fight against preventable childhood blindness; so you can feel good about this purchase. With 3 different advent calendars to choose from, there is something for everyone. The first is called the “24 Days of the Enchanted Advent Calendar” packed with mini essentials including matte liquid lipsticks. Want to step it up a notch? Grab the “25 Days of the Enchanted Deluxe Advent Calendar” for $99. This one includes deluxe sizes of products including a strawberry face mist (YUM!). Last but not least, the Body Shop is offering a “25 Days of the Enchanted Ultimate Advent Calendar” for $169 with 14 full size products including an almond milk and honey body lotion; perfect for that dry winter skin. With all cruelty-free products, you can’t go wrong. Who doesn’t love to smell good? This Atelier Cologne Discovery Advent Calendar is the best way to find a new signature scent or just to spice things up (literally!). This calendar also includes two travel body lotions and two travel shower gels. What more does a girl need than handcrafted perfume?? Another splurge-worthy advent calendar. With 20 mini nail polishes in every colour imaginable, there is literally no reason not to buy this one. Additional items include one full size polish, a mini treatment, a mini top coat, and nail transfers. The ultimate beauty guru advent calendar. 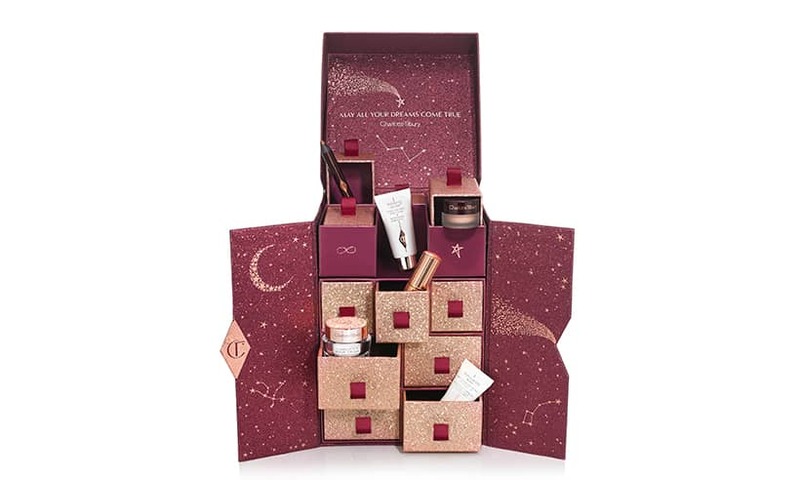 Yes, retailing at $250, this is a little extreme; HOWEVER, with 12 full sized products and mini beauty and skincare products, I personally think it is totally worth the price tag. Not to mention, it includes my favourite all time lipstick shade: pillow talk. If I could choose any advent calendar out of them all, this would be it. From $36 to $250, your options are endless. Now all that’s left is to ask yourself… how good were you this year?